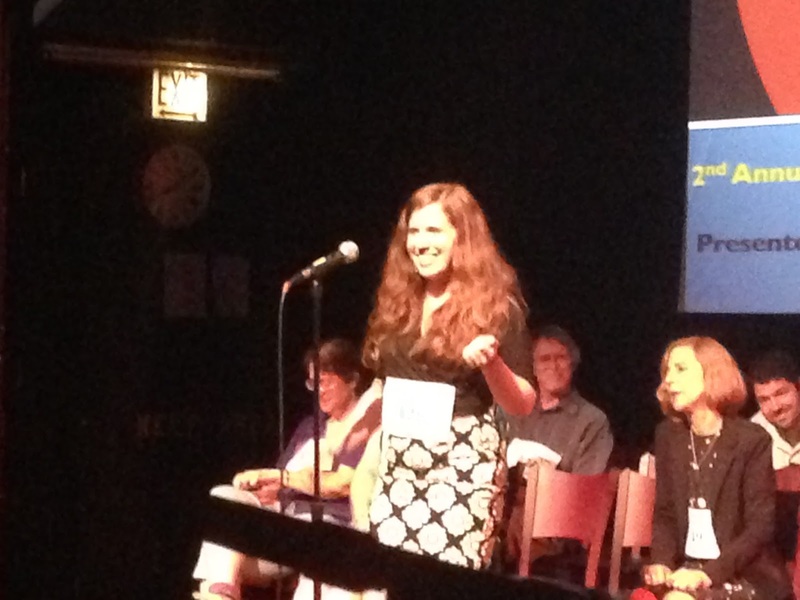 Monday night, I participated in a spelling bee for the first time since age 13. The last spelling bee I remember was 7th grade and I got out on 'enlightening.' IT COULD HAVE BEEN 'ENLIGHTNING.' It could've been. The time before that (all of 6th grade is a forced blank in my mind) was 5th grade when I won the school spelling bee, beating my 8th grade brother when it came down to the two of us and sailing onto 4th place regional glory ("carotid," you are my nemesis from now to the end of time). The Second Annual Smartypants Spelling Bee was a fundraiser for Lifeline Theatre. I will forever support Lifeline because of their Peter Wimsey adaptations. I saw their Busman's Honeymoon, what, two, three, eleventy times? They also exposed the supreme silliness of the ending of Count of Monte Cristo for all the world to see (I'm not saying they said it was silly, but it SO OBVIOUSLY IS and now people know), and then did Tale of Two Cities and The Killer Angels this season. They operate out of a space that is essentially the size of a high-ceilinged but otherwise quite normal-sized two-car garage. And are able to put on shows like Tale of Two Cities. It is impressive. They're doing Jane Eyre next season, which I think I'm contractually obligated by life to see, as well as a MUSICAL version of Soon I Will Be Invincible, which...I think Megs from The Terrible Desire is contractually obligated to see? In case you haven't figured it out, they do literary adaptations, so they are a bookish theatre. Lovely. And look how well it ties in with my blog! But back to the spelling bee. I kept not signing up for it, because I worried I would IMMEDIATELY FAIL, but I have a thing where if I'm scared to do something, I basically have to do it, so I last-minute joined and was 26th out of 30. The delightful thing about an adult spelling bee is that there is booze. Also we're adults and most of us have jobs and aren't basing our grade school intellectual identity on getting words right, so if we get something wrong, we don't have to then try to do really well on our Social Studies diorama. Also the Mayne Stage is a wonderfully relaxed space where instead of theatre seats, there're table and chairs, so everyone was pretty much just having a good time. My seatmate Rob was a lawyer and had of course been a complit major (all the best people are). Since we'd signed up late, we were in the last row, which gave us the same solidarity I assume the burn-outs in high school have. It was excellent. There was a lot of woo-ing (mostly from me). What words were in the first round? I don't know. I know someone got 'onomatopoeia,' about which there was an OUTCRY. I got 'jaundice,' which I could spell because my grandmother had it. I've only just now realized the only reason there's any alternate spelling in my brain is because of Mr Jarndyce in Bleak House. I was pretty happy about jaundice, though. I absolutely do not remember my second word except that it was not a problem, and then THIRD ROUND....there was 'whippoorwill.' Which has two o's, man. Two. And at which my friends when they heard it burst out laughing, because they thought it was hilarious-sounding. I was STRUCK from the contest, finishing about halfway back out of 30 people, and watched the rest from the audience with said delightful friends, who bought me a drink that hit me immediately and I did a lot of fists in the air when someone spelled something right. The last round involved words like "ampullaceous," "cotyledon," and "syzygy." Of those three, the only that would not have been a wild guess for me would have been syzygy, because NOT ONLY is that word an X-Files episode title, but it is an X-Files episode I had a quote from written on my shoes in 8th grade. 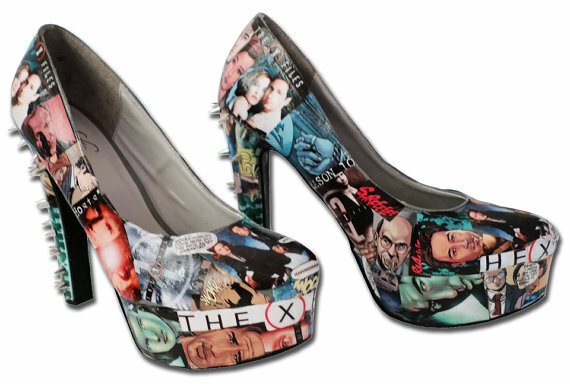 Because I had X-Files shoes. The winner was a copy editor and a lady. I was originally dismayed (or as dismayed as is possible for me when I'm tipsy, which is NOT VERY) when we got to the final ten, because despite the overwhelming preponderance of women in the competition, over half the final ten were men. By the time we got to the final three, though, it was two women, one man, and then finally just the copy editor. Who spelled so confidently that we were all terrified. We chatted afterwards when I was very tipsy and she was very nice. Or so my brain interpreted things. Well done, her! Well done, all! Especially the people who were drinking onstage, because that is how it should be done.